Low coastal vegetation and sandy bluffs cover the area. The scenic Northeast Point offers a secluded coastal environment. A great place to explore, whales can also sometimes be seen off the coast during the winter months. The vibrant ocean colours off Northeast Point. 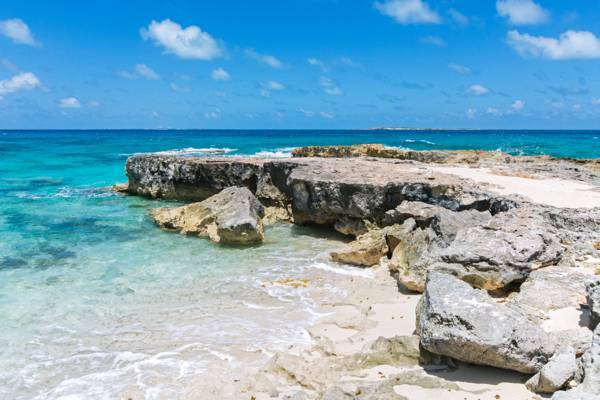 The far northern end of Salt Cay, this scenic area offers low rocky cliffs and small beaches. When the weather is calm, the snorkelling here is excellent. A small bluff at the point offers excellent views of the island. In the distance, Cotton Cay, Grand Turk, and cruise ships can be seen, along with whales during the winter months (January through March). If you have the time, it’s interesting to walk make the .5mile (.9km) along the coast to the south to see the beautiful centuries-old stonework of the inlet channel to Grey Salina, part of the historical salt industry. It's possible to see Cotton Cay to the north of Northeast Point. As is the case throughout Salt Cay, the terrain and vegetation of Northeast Point presents a particularly weather-beaten and rugged appearance. Low hedges of salt-resistant coastal plants cling to the limestone bluffs, and are quite picturesque. There are sections of relatively hard limestone ironshore coastline, but much of the area is hard sandy dune. Follow the road that heads north 660ft (200m) west of the airport. After 1450ft (440m), take a right and continue for 1.5 miles (2.5km). You will pass the ruins of the Windmills Resort, and then Castaway Villas. The road will turn into a sandy track at this point as it follows the coast. 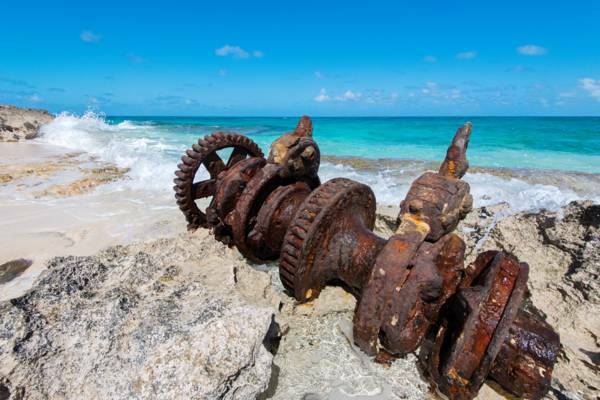 Old machinery at Northeast Point. 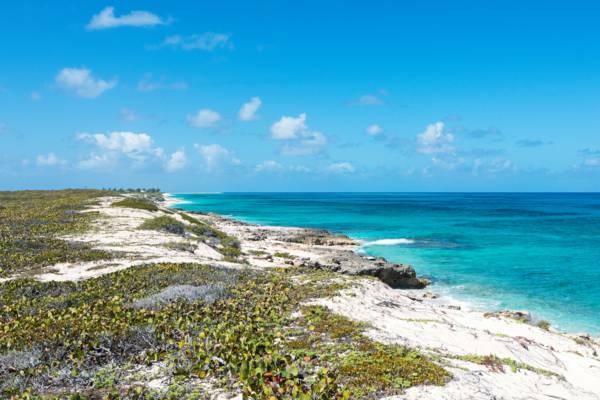 This end of Salt Cay offers panoramic views and small sections of beach and low cliffs. Great area for sightseeing.